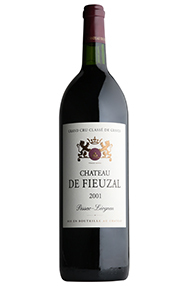 The origins of Château de Fieuzal date back as far as the first stirrings of winemaking in Bordeaux’s Graves region, named for its thin, gravel-studded soil. The estate, which is in the Pessac-Léognan appellation of Graves, sits on one of the best gently sloping, gravel-outcrops in the area - long admired for its excellent drainage and heat diffusing properties. Both Graves and Fieuzal are reputed to produce some of the best white wines in Bordeaux, but Fieuzal’s reds are equally good. In 1959 they were awarded the official status of Graves Grands Cru Classé wines. Six families have owned Château de Fieuzal over the last 400 years, and each owner has shaped both the property and the style of its wines. Jean and François Gardères, workers at a neighbouring property, owned the original Château de Fieuzal plots. Ownership was transferred to Bordeaux’s Dabadie family who held it until the 17th century, when the Fieuzal family bought it. Toward the end of the 19th century the Ricard family, owners of other famous Bordeaux estates including Domaine de Chevalier and Malartic-Lagravière, bought Fieuzal. Abel Ricard inherited the estate from his father in 1908 and then, a few years later, transferred the management to Odette Ricard and his son-in-law Erik Augustinus Svensson, known as Bocké. A singular man, Bocké was considered to be an unusual character in Bordeaux and a dandy. It was under his management, however, that in 1959 Château de Fieuzal’s classification was raised to the rank of Cru Classé de Graves. With the death of Odette Ricard in 1973, Bocké decided to sell Fieuzal to a brilliant Bordeaux chemist, George Nègrevergne. Nègrevergne appointed his son-in-law, Gérard Gribelin, as Fieuzal’s manager. Under his tenure Gribelin doubled the size of the vineyard to 30 hectares, renovated the winemaking area and began to successfully experiment with innovative techniques, helping to position Fieuzal as one of Bordeaux’s great wines. In 1994 financial group, Banque Populaire, bought Fieuzal. A year later, in 1995 the bank bought Château Haut-Gardère and completed the reconstitution of the original estate that had been divided up during the Ricard’s time. In 2001 Irish wine lovers, Brenda and Lochlann Quinn, bought Fieuzal. Their goal is to carefully tread the ever-evolving line between continuous technical improvements in winemaking and vine growing, and, maintaining the essential Graves nature of Fieuzal’s wines. Their judicious investments in the vineyards and winery have considerably raised the standard of Fieuzal’s wines and helped them regain their élan. As part of the wine renaissance at Fieuzal the vineyard is managed on a plot-by-plot basis. Essentially, this means that different grape varieties, grown in different parts of the vineyard, undergo tailored winemaking processes to avoid masking or muting their distinct flavours and aromas. In 2007 the Quinns hired a talented young winemaker to run the estate. 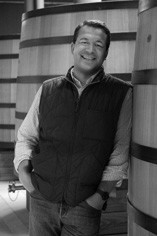 Stephen Carrier brought with him a blend of classic French winemaking skills and experience of New World techniques. Working closely the Quinns, with their passion for wine, and Carrier, with his rigorous and innovative winemaking style, have together broadened Fieuzal’s reputation as a wine well-worth drinking. As well as hiring Carrier, the Quinns brought well-known Bordeaux winemaking consultant, Hubert de Bouärd, on board in 2006. De Bouärd owns the Saint Emilion estate Château Angélus. Other developments at Fieuzal have included a restructuring of the vineyard and, in 2011, the inauguration of a new cellar, fully equipped with advanced winemaking facilities.